It’s always fun trying new things, especially smartphones. When you’ve been using the same platform, and run into a conversation with your friends about other ones, you surely want to get your head around it. However, it isn’t as easy as it sounds. 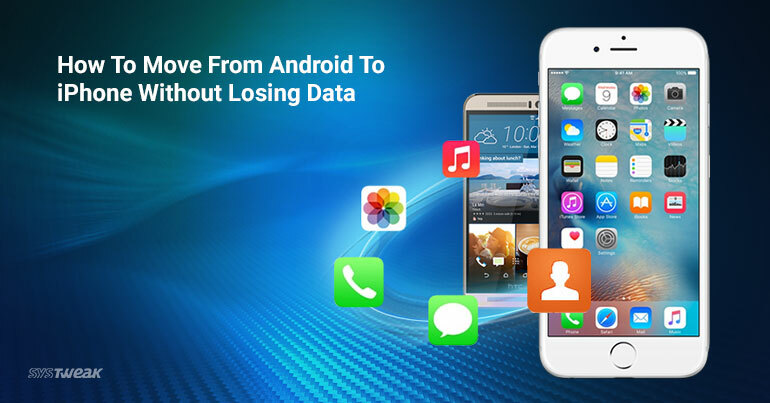 Switching from Android to iPhone requires a lot of work and may become nasty if isn’t done properly as there are high chances of data loss. Download Move to iOS app from Google Play Store on your Android. Put both the smartphones on charge and turn on your Android Wi-Fi. While you set up your new iPhone, look for the Apps & Data screen and tap on Move Data from Android. If you’ve already completed the setup, you need to erase your iPhone to start over. Open Move to iOS app on your Android, click Continue and agree to the terms and conditions. Tap on Next at the right-hand side top corner of the Find Your Code screen and enter the same ten-digit or six-digit code that you see on your iPhone. Select your content on Transfer Data screen, which you want to move to iPhone and tap on Next. You’re supposed to leave both the devices even if your Android shows the task is completed. Wait for the loading bar to finish what appears on your iPhone. Once finished, tap Done and Continue on your Android and iPhone respectively. You can follow the onscreen steps to finish setup for your iOS device. Make sure everything is transferred. If something is left, you can move that data manually. When you’re done moving from Android to iPhone without losing data, you’re ready to roll. If your apps, which are available on both Google Play Store and App Store, the free apps get transferred to your iPhone. However, the paid ones can be fetched through your iTunes Wishlist. Make sure Move to iOS app remains onscreen the whole time, if you use any other app or get a call, the data cannot transfer.